3. Stephane Fiset, Quebec Nordiques. Igloo wall designed by Frank Cipra, 1992-94. Known as one of the most recognizable masks pre ’90s. The design is cold as ice, and was the first to incorporate the "brick wall" theme seen throughout masks over the years. 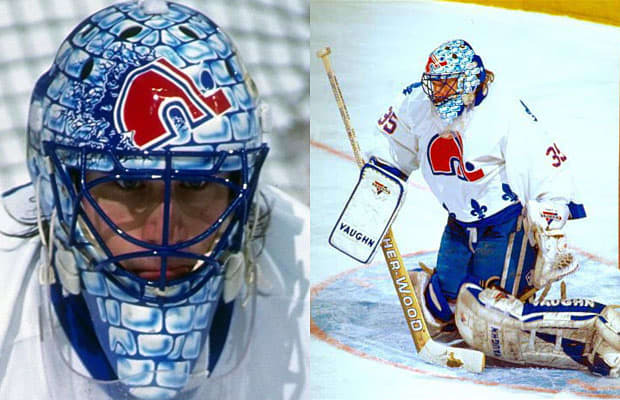 Fiset's career melted and so did the so did the Nordiques by getting contracted to Colorado in 1995.